The vast majority of individuals with body dysmorphic disorder also have dual diagnoses. The treatment of multiple psychiatric, psychological and emotional conditions are the standard of care when treating body dysmorphic disorder. 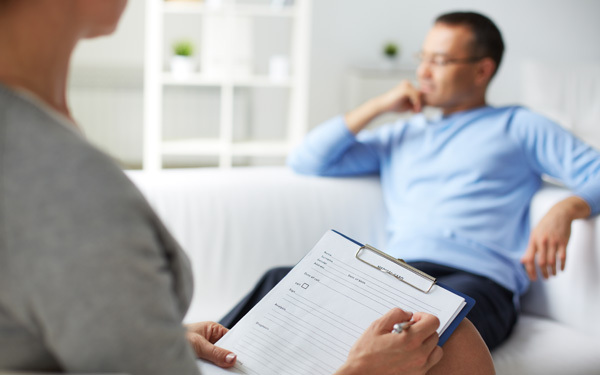 It is imperative to address and treat these comorbid conditions while simultaneously treating the BDD symptoms that initially bring clients into therapy. A psychological disorder characterized by an overall low mood, poor concentration, diminished self-esteem, irritability, interruptions in usual sleep patterns, the loss of interest in things that would usually provide pleasure, and often suicidal ideation. Characterized by individuals who are plagued by persistent, disturbing, and intrusive thoughts, better known as obsessions, that in turn create anxiety. A behavior, also known as a ritual or compulsion, is then performed in an attempt to decrease the anxiety. Characterized by extreme anxiety about being judged by others or behaving in a way that might cause embarrassment or ridicule. Individuals with social anxiety believe that others are negatively scrutinizing them thus they often avoid social situations. Addictive disorders frequently co-occur with body dysmorphic disorder, and successful recovery requires treatment of both conditions. These substances include, but are not limited to, alcohol, marijuana, cocaine, opiates, and prescription drug abuse and/or dependence. A preoccupation with fears of having, or the idea that one has, a serious disease based on a misinterpretation of one or more bodily signs or symptoms. Medical evaluations do not identify a general medical condition that fully accounts for the individual’s concern about disease or for the physical signs or symptoms. The unwarranted fear or idea of having a disease persists despite medical reassurance. Characterized by a recurrent and often uncontrollable urge to repetitively pick at one’s skin, frequently but not exclusively that being the facial skin. Individuals who compulsively pick at their skin do so repetitively and ritualistically. Skin picking frequently occurs as a response to an itch, skin sensation, or what is perceived as a flaw in the skin. A variant of body dysmorphic disorder, individuals with this condition become obsessed with the belief that their body does not have enough muscle size or definition, and as a result, they participate in compulsive behaviors to compensate for their perception that they are not big enough. Individuals with this condition have an excessive concern that they are emitting an unpleasant odor. To others, this concern is unreasonable and definitely excessive. The persistent preoccupation regarding body odor is usually accompanied by shame and embarrassment. Individuals with this condition have a fear of urinating in public restrooms. The degree of anxiety experienced ranges from a momentary delay in starting urination to the total inability to institute a urine stream. In mild cases, paruretics can still use public bathroom facilities, but in more severe cases, paruretics may only be able to urinate when alone at home. It is considered a variation of social anxiety disorder. With the correct treatment, many individuals with body dysmorphic disorder and dual diagnoses do recover and live a much higher quality of life. For detailed information on our treatment programs, please read about our Weekly Outpatient Program and BDD Intensive Outpatient Program. Why Choose the Body Dysmorphic Disorder Clinic?